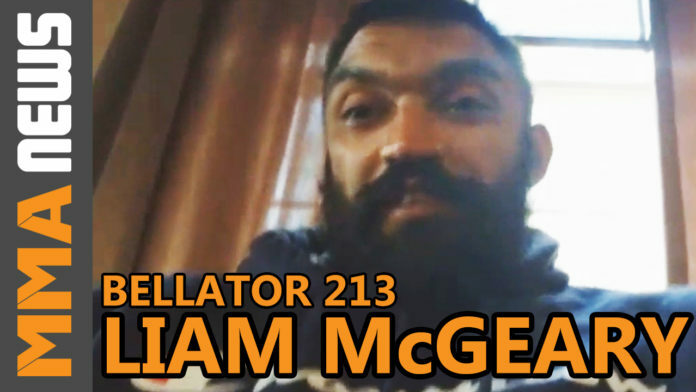 Former Bellator light heavyweight champion Liam McGeary looks to snap a career high two-straight losing streak on Dec. 15 and he’ll have to do it against a friend of his. The 36-year-old is scheduled to face Muhammed “King Mo” Lawal at Bellator 213 and despite the friendship, it’s all business. McGeary (12-3) amassed an impressive 10-0 record in his career which saw him capture the light heavywegiht title at Bellator 124. Since losing his strap to Phil Davis at Bellator 163 in Nov. 2016, the former New York resident has lost three of his last four fights. Looking to switch things up, McGeary is now training in California ahead of the matchup. Lawal (21-7) is 2-2 in his last four fights and is coming off a 15-second knockout loss to Ryan Bader at Bellator 199. The 37-year-old will be looking for his first win since Mar. 2017 when he defeated Quinton Rampage Jackson at Bellator 175. Bellator 213 takes place at Neal S. Blaisdell Center in Honolulu, Hawaii on Dec. 15. The main event features women’s flyweight champion Ilima-Lei Macfarlane facing former UFC title challenger Valerie Letourneau.